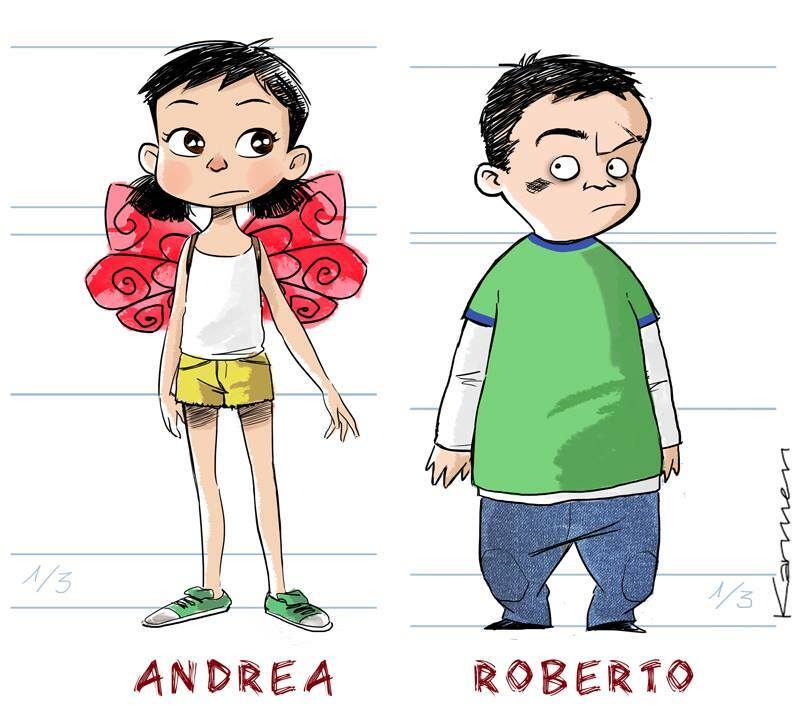 Roberto is a story about friendship and reencountering, about how the magic people we find throughout our lives teach us how to accept the things that happen to us and how to discover a new way of looking at the world. During this last year and a half, the script has changed many times. It has gone through really disparate versions, has evolved and involved, has jumped to the future and the past, and sometimes has even lost its essence in order to tell a more attractive story… About 6 months ago I made myself the big key question that has made me feel really satisfied with the script today: What do I want to tell? Roberto started as a story not very consumable by the general public. A vital learning, personal and intimate, which marked a change in my way of seeing the world. His first format was a small 4-page comic with a dark style and unconventional narrative technique. At that time (more than 10 years ago) I knew that someday Roberto will jump from paper to a visual medium and, when I had my first contact with 3D, I knew I had found the perfect way to achieve it. The challenge that I have faced all these months has been to develop a script which, without betraying the essence of the original Roberto, would be attractive to the rest of the people. The development of an intimate work with the only purpose of personal enjoyment seems entirely lawful, but in my case I want to share what Roberto taught me with all of you … It helped me so much at one point in my life that I just want to share it… and we’ll see how each person receives it. The story is ambitious. Being aware of this is the first step in planning the project in a realistic and feasible way. So the work I’m doing right now is what is called production design, ie, finding the esthetic and animation style to help me telling the story effectively and also affordable for my resources. 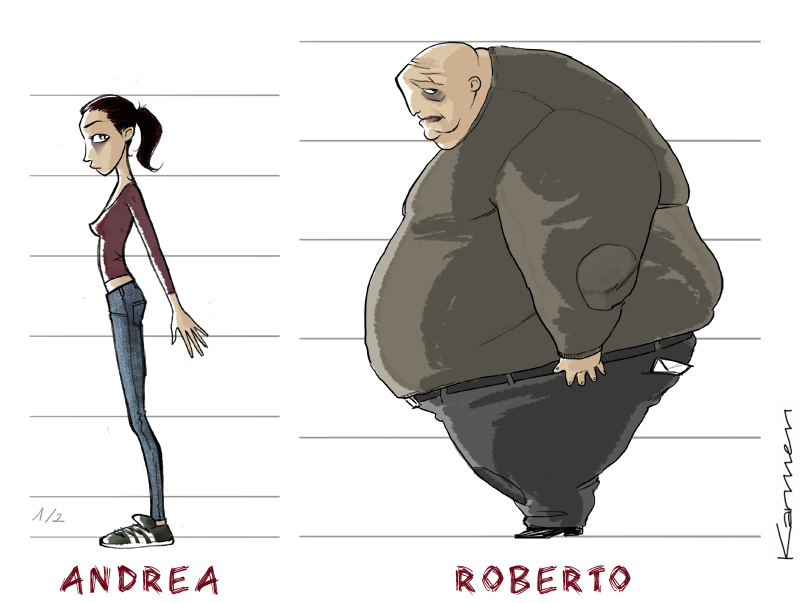 With these requirements in mind, and the desire of getting an original style that strengthens the dramatic nature of Roberto’ story, I spend the day watching movies, illustrations and shortfilms, and trying different possibilities. Leave a reply on "Production design"